I know how hard it is to get cast and get acting jobs that’s why I put this special FREE video together for you. I specialise in taking people with little or no acting ability and developing their ability to a top level and launching their careers…whilst still in their 9 to 5. 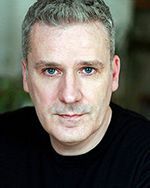 My name is Brian Timoney and I run one of the UK’s leading acting studios where myself and my team of specialist coaches work their magic on our students. I’m recognized as a UK leading expert and coach on Method Acting. I have appeared in the media including the BBC, The Sunday Express, The Metro, movieScope magazine and The Stage. I would like to invite you to enter your details below and you will receive my exclusive FREE video How To Get Cast In A Movie. You will also get full access to my acting web site where there are free videos, free articles and details of all our courses. Plus I will send you vital tips and advice on how to advance your acting and your acting career completely free of charge. I hope this will be the beginning of a life long relationship.